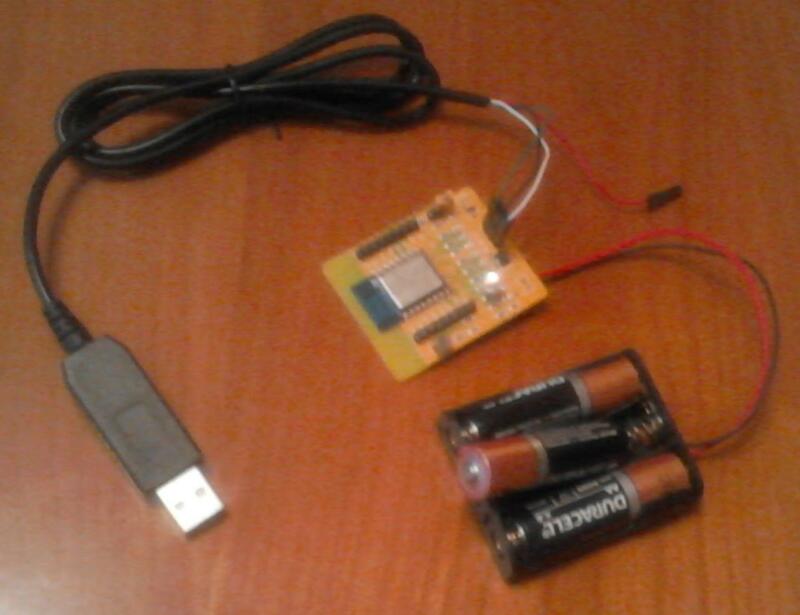 In a previous article i described ESP8266 Basic First steps. To use this module (see picture) with some buttons (or button like sensors). i first tested input on the IO pins of this module with a ESP8266 Basic program. Using some pins in the software did crash the program. I expect during init or compiling as not one statement in the program was executed. Print "Test the pins for input"
Next i connected a button between VCC and a GPIO pin and did run the program again with the button pressed. This way i tested all the GPIO pins one by one. 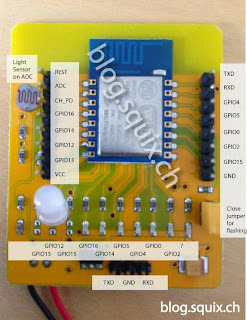 After this i did the same with the button between GND and each GPIO pin.